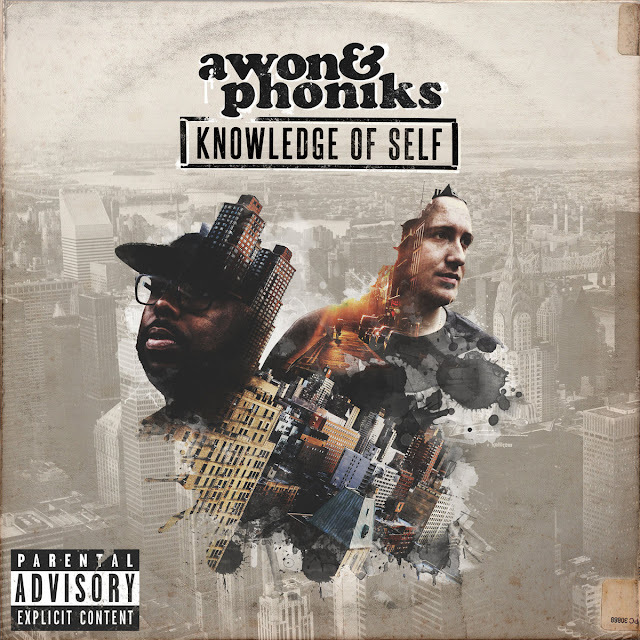 "Knowledge of Self" is the 2nd official offering from hip-hop duo Awon & Phoniks. Coming over 2 years after releasing their debut album "Return to the Golden Era" in Summer of 2013, the Newport News, VA emcee and Portland, ME producer have been working diligently on their follow-up. While the debut LP was a throwback to 90's hip-hop in every sense, with lyrics focusing on Awon's troubled youth and tales of street grandeur, their 2nd LP sees the group maintain their signature sound while refining things both musically and lyrically. This time Awon is speaking from the present, educating youth on tracks like 'Reflections' and speaking on current social climates in 'Summer Madness' and 'Profit Off My Pain'. He has adapted his rhymes to more relevant topics while keeping his all-natural flow groove-locked in the pocket.